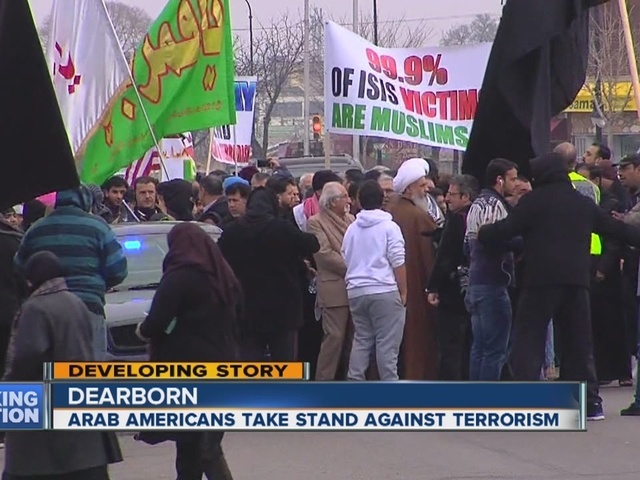 Hundreds of Arab Americans in metro Detroit are taking a stand against ISIS and terrorism. This weekend, they gathered for a peaceful protest against hate outside of the Karbala Islamic Center in Dearborn. "What we are...what we stand for is moral ideas...not with bombings, not with attacks," said Lara Aldhalemi.